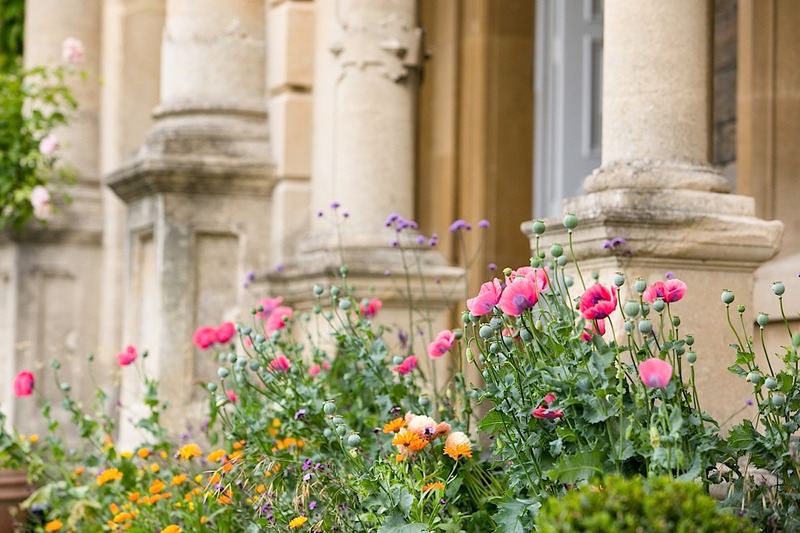 I’m always over the moon when a couple book me for their wedding flowers at Clevedon Hall, an exclusive use wedding and events venue in Clevedon, North Somerset. 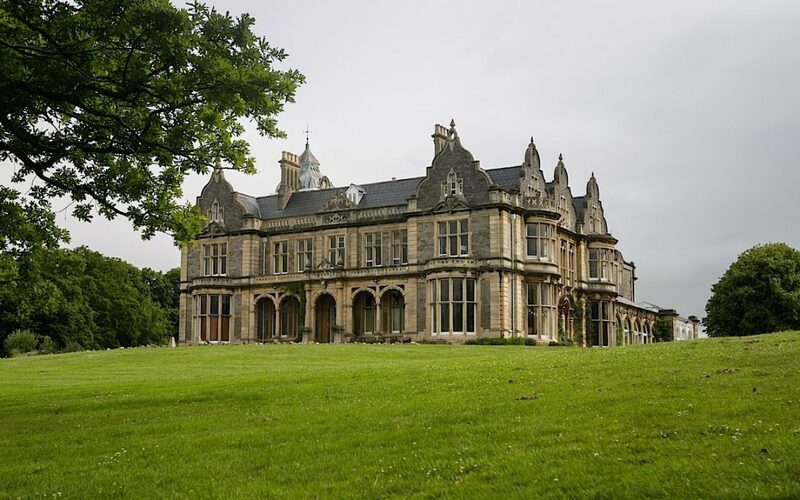 Surrounded by 17 acres of land, the manor house was beautifully refurbished a couple of years ago. The interior is stunning and there’s plenty of scope for spectacular florals. 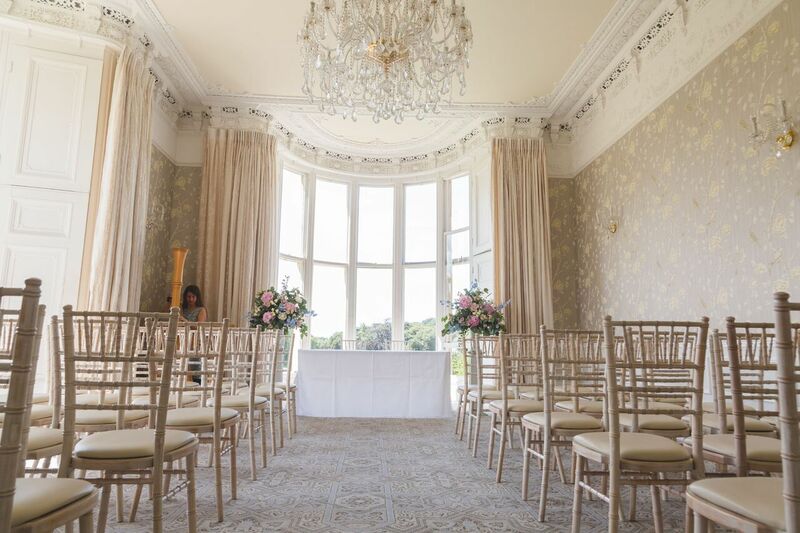 The stately interior, with its spacious rooms and splendid decor is perfect for winter weddings. During the summer, the gardens offer the perfect backdrop for both wedding ceremonies and photography, not to mention al fresco feasting, fun, games and even fireworks! The beautifully hand-crafted wooden gazebo, with seating for 150 guests on the surrounding terrace, allows you to make a dramatic entrance along a winding path. 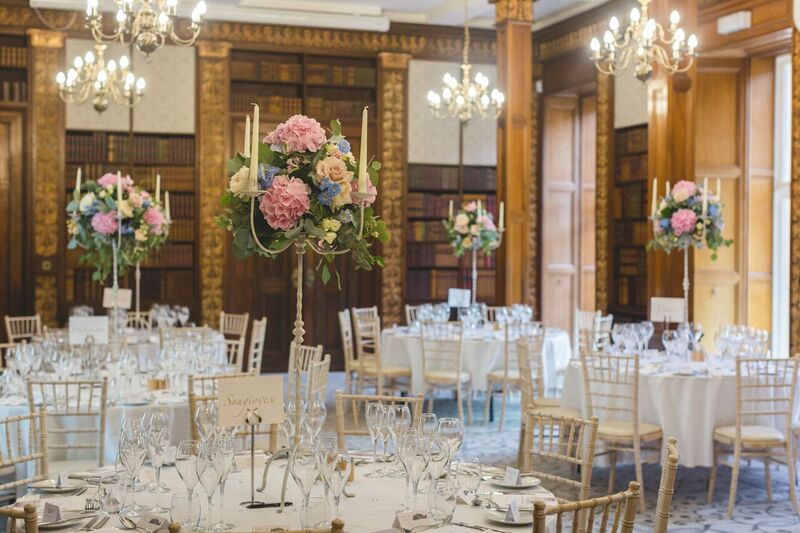 At Clevedon Hall, wedding breakfasts take place in the library. With its vast, high ceilings, the room lends itself to tall, grand arrangements such as candelabra displays. Here I’ve used a combination of roses, delphiniums, hydrangeas and fragrant stocks. 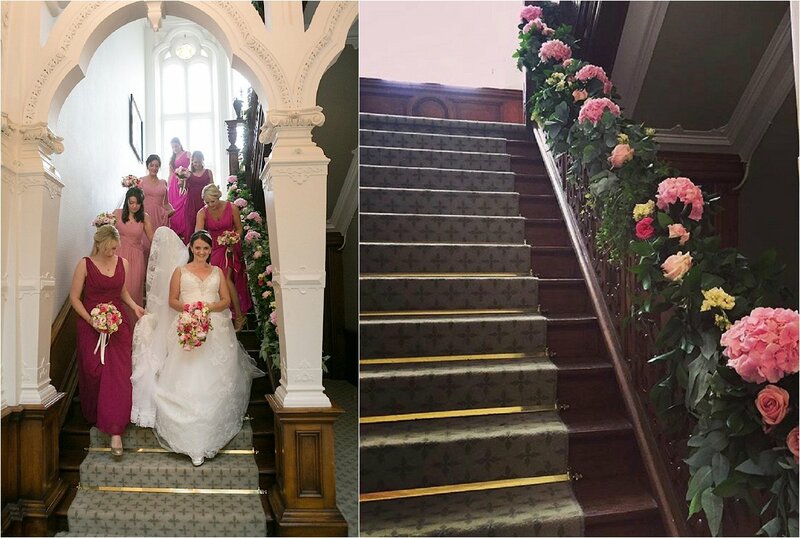 The staircase is a lovely area to decorate as it’s where the bridal party will make their entrance before the ceremony. This can be done simply using a foliage garland or by adding bright, blousy flowers for a more dramatic look. Urn arrangements always work well for the ceremony. After exhanging vows, the urns can move into the library, adding extra floral decoration near the top table. 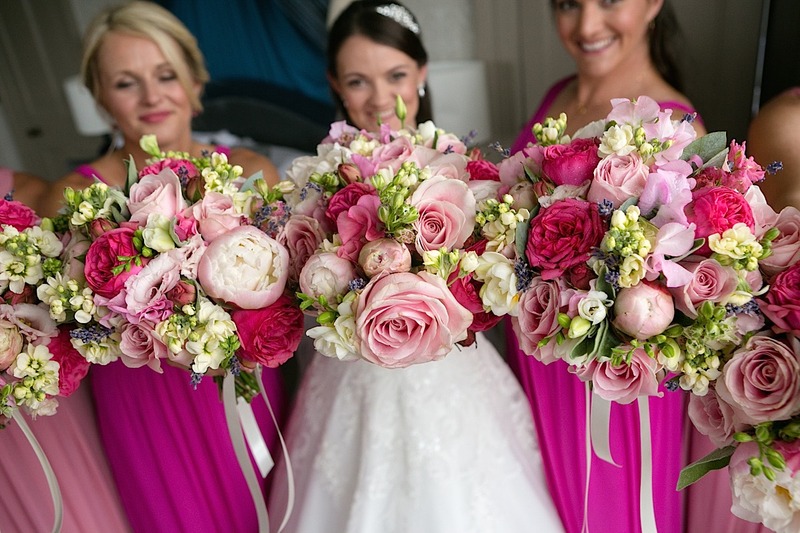 I know many couples appreciate working with a florist who knows their chosen venue inside-out. 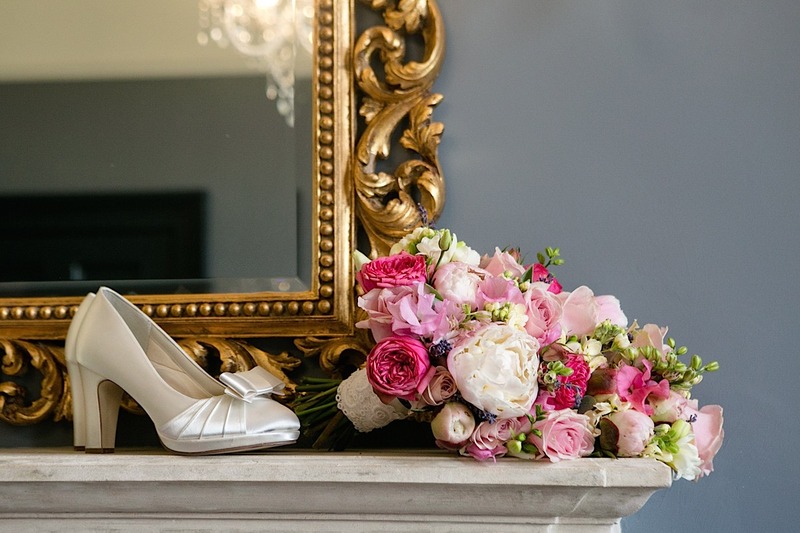 If you’re planning a wedding at Clevedon Hall, please do get in touch to discuss your flowers. You’ll find more real wedding inspiration from this wonderful venue in my gallery here.